You know how every now and again a toy comes out that actually its you that gets really excited about it - well this is one of those! 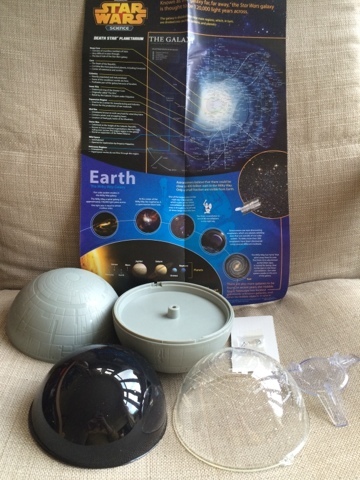 So when I received a planetarium to review, I was so excited - This Star Wars Death Star Planetarium projects not just the Star Wars galaxy but also the earth's sky too! 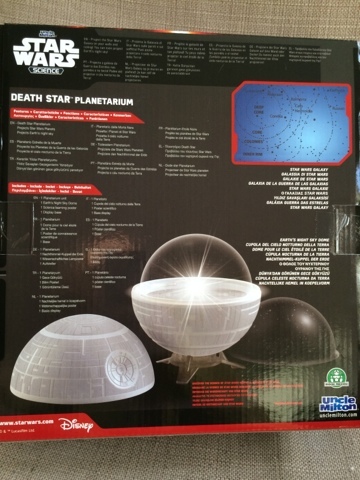 Uncle Milton Star Wars Death Star Planetarium by Flair Plc. There's a little bit of simple assembly to do - besides inserting batteries (3 AA not included) you also need to pop the bulb in too. Its all straight forward and takes a few mins. The black dome shows the Earth's sky. 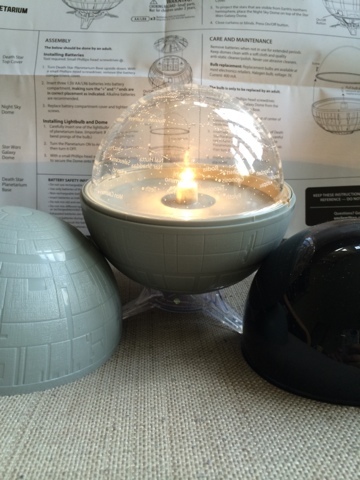 There's a small on of switch - its cleverly disguised as one of the grey panels on the death star. 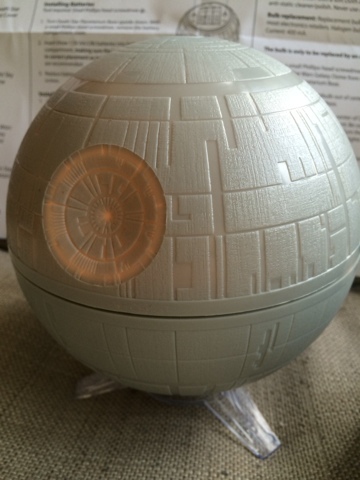 Great attention to detail on this Death Star. 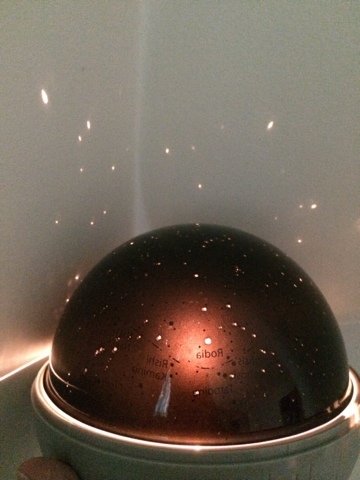 Projecting the Earth's sky onto the walls and ceiling. 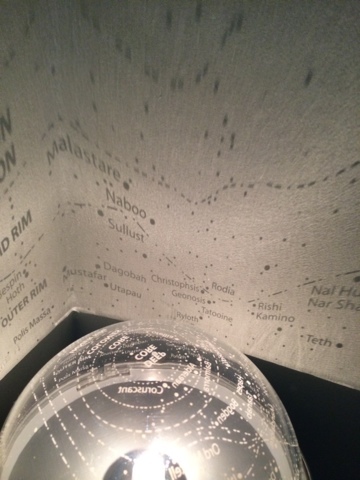 From the Star Wars galaxy I spotted Naboo and Tatooine straight away - how about you? 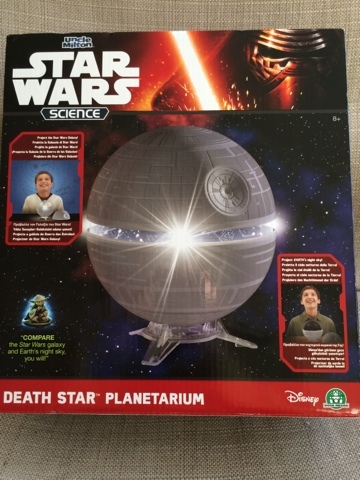 My little boy is really getting into Star Wars which I'm really enjoying helping with - and he absolutely loves this planetarium. Disclaimer - I received the planetarium for the purpose of this article.